MELBOURNE, Australia — When Mirjana Lucic-Baroni served out her victory over Karolina Pliskova at the Australian Open on Wednesday, making an unlikely return to the semifinals of a Grand Slam after nearly 18 years, she fell to her knees, placed her forehead on the court and wept. Few expected her to ever have this chance at a major again. Lucic-Baroni, however, never gave up believing in herself. 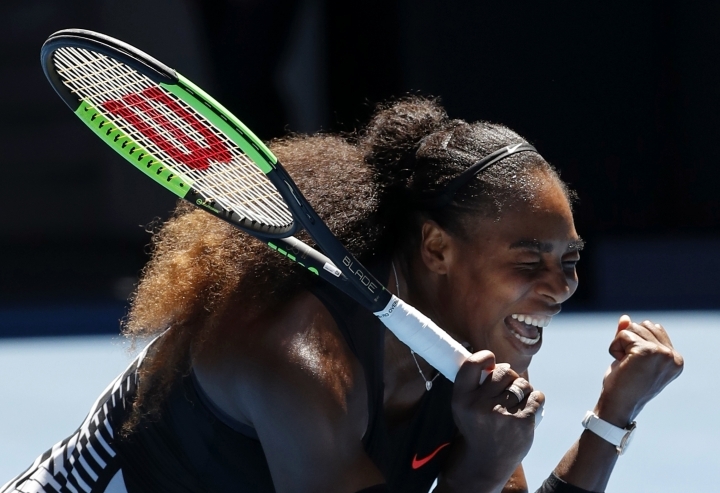 It was a heartfelt scene that touched even Serena Williams, her opponent in the semifinals at Melbourne Park, who started her career at the same time as Lucic-Baroni. "I'm so proud of Mirjana," Williams said after her 6-2, 6-3 victory over ninth-seeded Johanna Konta. "It's so good to see her back out and to see her in the semifinals really just is so inspiring for me. "No matter what happens, someone 34 or older will be in the final and that's just really awesome." Williams, 35, and Lucic-Baroni, 34, will meet Thursday in the semifinals of a tournament that's starting to have a distinct throwback feel. With 36-year-old Venus Williams also reaching the semifinals, it's the first time in the Open era that two players 35 or older have reached the final four of a Grand Slam. Venus next plays another American, 25-year-old CoCo Vandeweghe. On the men's side, three players 30 and over also reached the semifinals — matching an Open era record set at the 1968 French Open. 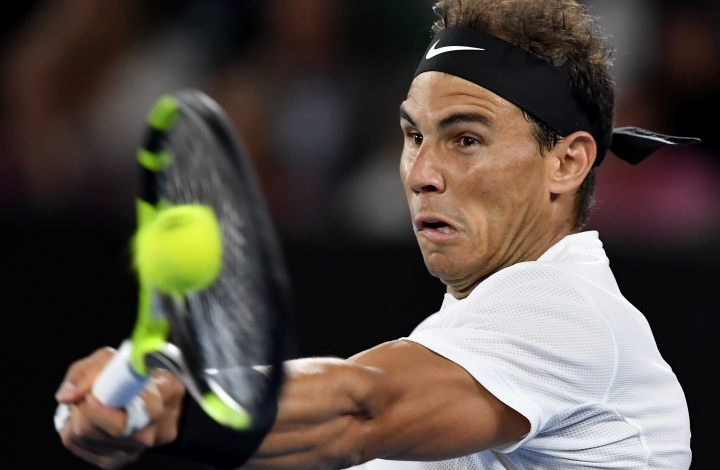 Roger Federer, 35, and Stan Wawrinka, 31, booked their spots on Tuesday, and 30-year-old Rafael Nadal joined them with a 6-4, 7-6 (7), 6-4 win over Milos Raonic on Wednesday. 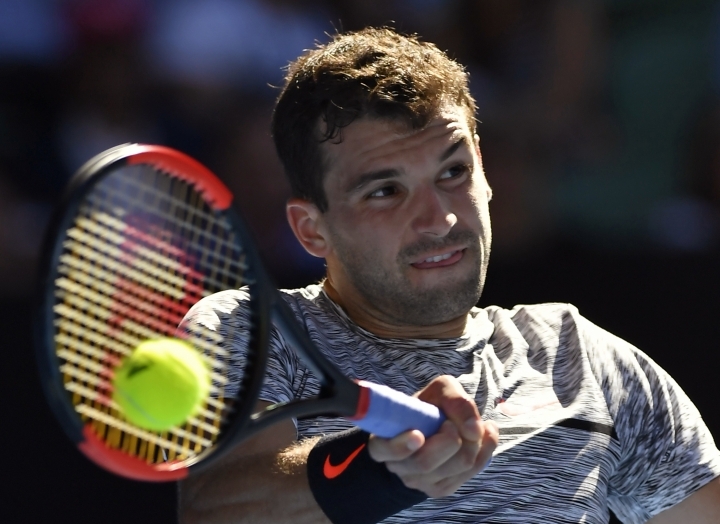 He'll play 25-year-old Grigor Dimitrov, who beat David Goffin 6-3, 6-2, 6-4. 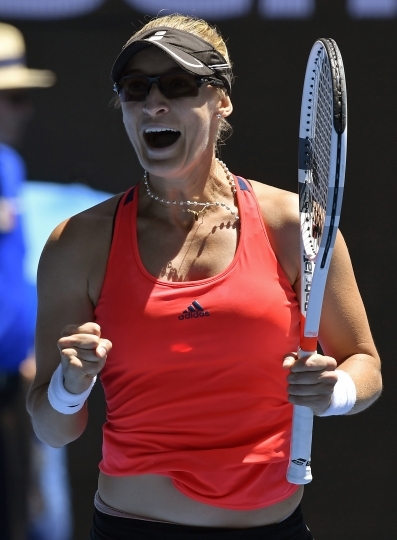 Of all the 30-somethings playing well in Melbourne, Lucic-Baroni's performance is perhaps the most astonishing. 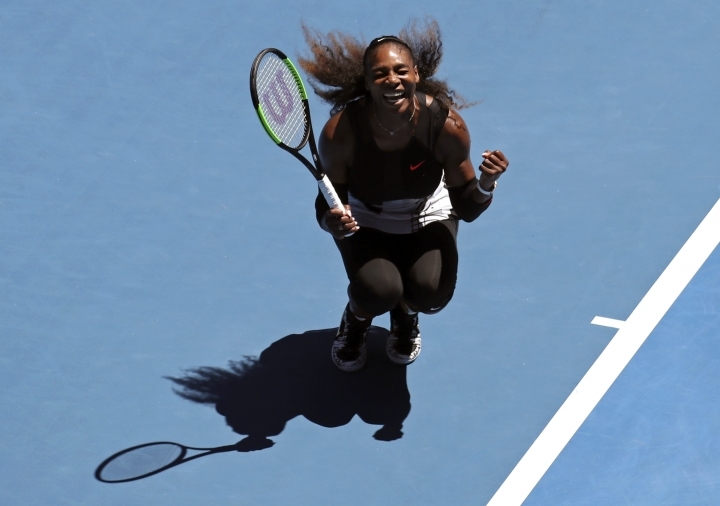 She was once considered a prodigy with as much promise — and power — as the Williams sisters. When she was 15, she won the first tournament she entered in 1997 and several months later captured the 1998 Australian Open doubles title with Martina Hingis. She and Serena played each other twice in 1998, including in the second round of Wimbledon. They haven't played on tour since. "It was on Centre Court," Williams said of the Wimbledon match. "I remember winning. I was so excited because I was so young. She obviously was super young, too." The following year, a 17-year-old Lucic upset Monica Seles en route to the Wimbledon semifinals, where she lost to Steffi Graf. Soon after, however, came a career tailspin due to personal issues and financial problems. Within a few years she was out of the sport completely. She still doesn't like to talk about those dark years, but the pain was evident in her tears on Wednesday. "I know this means a lot to every player to reach the semifinals, but to me, this is just overwhelming," she said, choking up after beating Pliskova 6-4, 3-6, 6-4. "This has truly made my life. And everything bad that happened, it has made it OK."
Lucic-Baroni's comeback began in the late 2000s at minor tournaments in Alabama and Florida. By 2010, she was playing in the majors again, but it would be another seven years before she could string together this run at the Australian Open. "I really knew deep down in my soul that I have these results in me," she said. "To now be here and actually live these moments, it's incredible." Serena Williams still has plenty left to accomplish, too. She's reached the 34th semifinal of her career — and 10th in a row — but the number she's really after is 23. If she wins the title in Melbourne, it will be her 23rd Grand Slam trophy, breaking a tie with Graf for the most in the Open era. When asked about her own longevity in the sport, Williams said she's been around so long, many of her former competitors are now playing in the legends' doubles event. "I think at one point I was older than some of those players," she said, laughing. "I was wondering, 'Should I be on the legends tour?'" 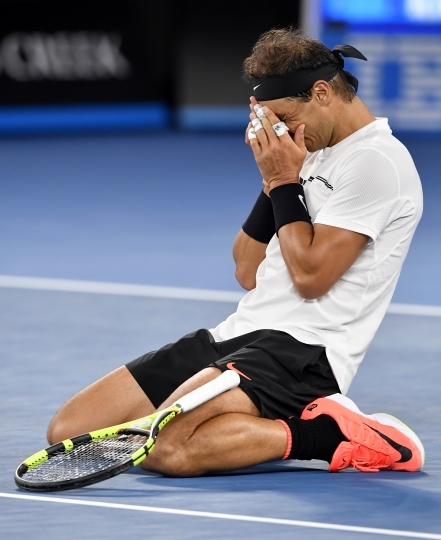 Nadal also believed he'd return to another Grand Slam semifinal despite struggling with injuries and a lack of confidence in recent years. The last time he made it this far was at the 2014 French Open when he claimed his 14th Grand Slam title. 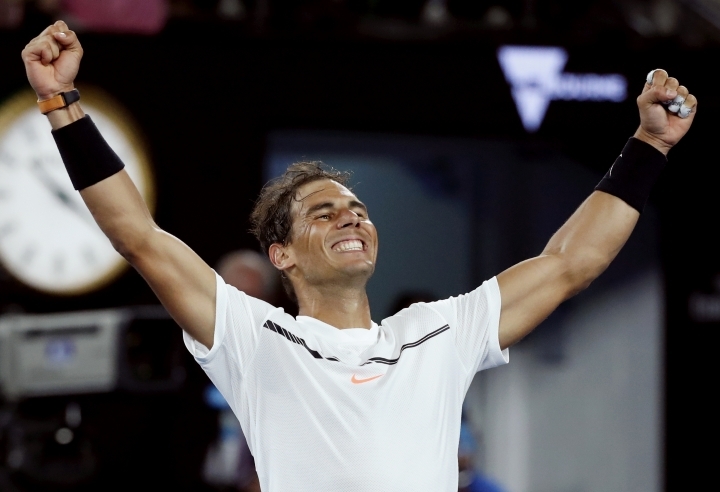 "I think I had a great career, but at the same time I had a lot of tough moments," Nadal said. "That makes me enjoy even more the good moments I'm having today."